I just realized that I'd meant to post these a few days ago, but my brain is swiss cheese, and I forgot. LOL. Top picture is the glitters and the bottom picture is the non-glitters. 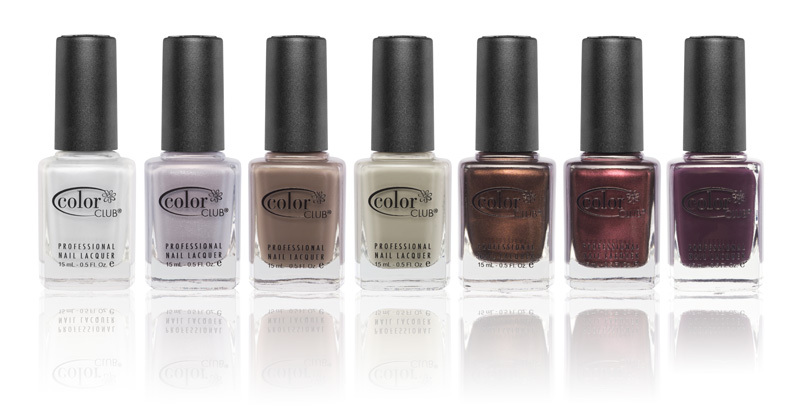 Color Club pushes the limits of All-Out Glamour with Untamed Luxury. Rich colors meet superb quality for long-wearing Haute style! Untamed Luxury is more then one collection of luxe colors it’s two collections; the Indulgence Collection and the Diamond Collection! The ‘Indulgence Collection’ includes Pretty in Platinum, Wild Orchid, Positively Posh, Soft as Cashmere, Nothing by Truffle, Jewel of a Girl and Ready to Royal. The ‘Diamond Collection’ includes De-Luxe-Icious, Miss Hautee, Red Velvet, Untamed Luxury, Resort to Red, Snakeskin and Covered in Diamonds. ‘Covered in Diamonds’ is our luxury topcoat to give each shade a unique abstract design and ‘Covered in Diamonds’ flare! Color Club intensely fashionable professional nail color that’s ‘All About Color’! Our high-quality formula is Formaldehyde, Toluene, DBP FREE and always in demand! I am pretty excited for this collection. I love Color Club. 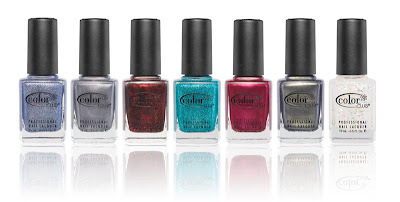 They have amazing colors and their collections are very affordable. 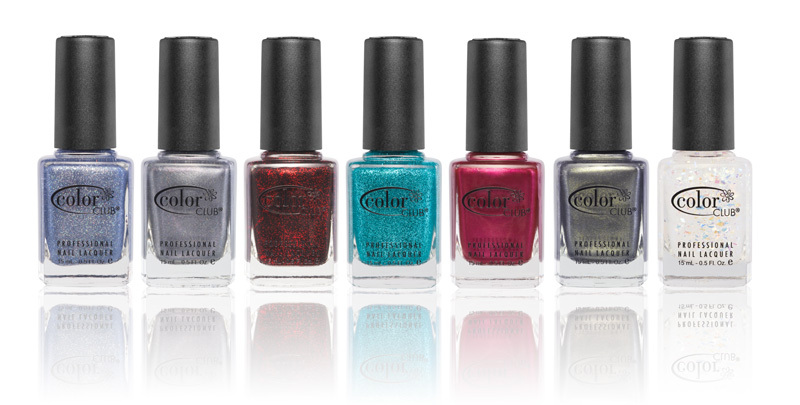 Plus, they make great glitters, so I'm sure the glitter half of this collection is gonna ROCK! Hey, I tagged you on a Sweet Friend Award! Maybe you can check my blog out some times too? Thanks, Tessa. I'll be glad to check out your blog. Thanks for following! I'll be sure to add you the next week's Friday Blogger Round-Up.